I am super excited to tell you that I have been shortlisted, as one of 12 businesses, for a SICAP Enterprise Award. Eeeek! Yes me!! 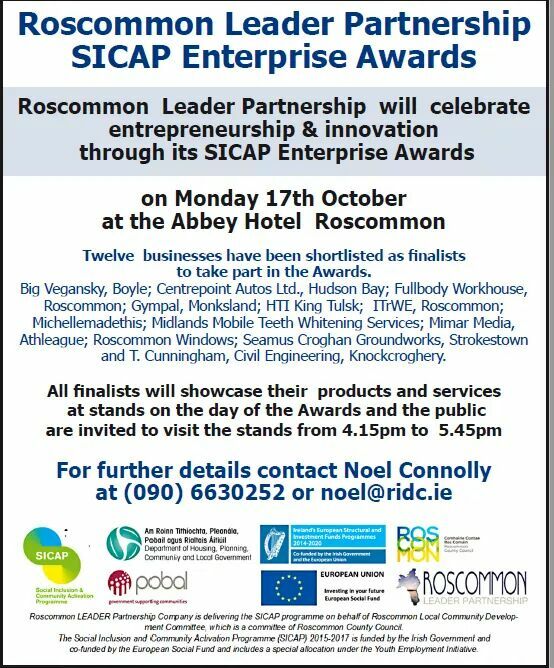 Twelve businesses in total have been shortlisted and the judging and awards take place on Monday 17th October at the Abbey Hotel, Roscommon. To say I am excited is an understatement. Proud, humbled, chuffed to chuffing bits and all the rest!! 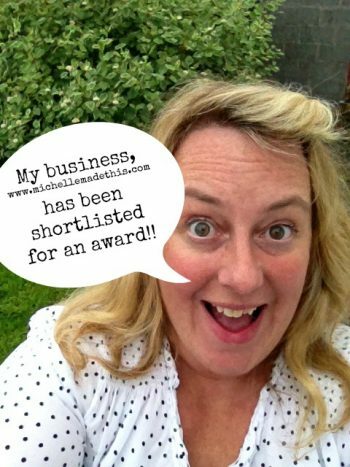 This means so much – just being nominated! I’m so glad I stuck at it and I have just as much passion, in fact probably even more, today for what I do. The awards will be open to the public from 4.15pm-5.45pm so please do come and show your support, not just for me but the other nominees listed below. 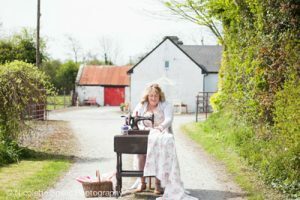 I would like to say a huge thank you to Roscommon Leader Partnership for including me in the nominations and wish all the other nominees the very best of luck. We are all winners!